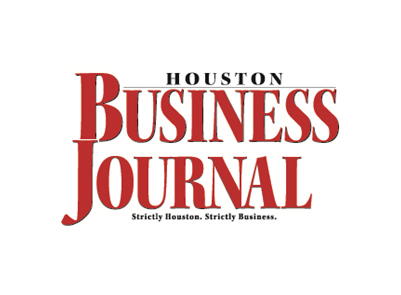 Salon Meyerland, One of the largest black hair care salon in Houston, Texas Announces New Name featured in Houston Business Journal. HOUSTON, Feb. 17, 2017 /PRNewswire/ -- Bonner and Jenny Brinson, the owners of Salon Meyerland, a salon in Houston, TX that is devoted to healthy Black hair care, are pleased to announce that they have just rebranded their business. As part of this process, they have changed the name of their salon from Salon Park Meyerland to Salon Meyerland. To check out Salon Meyerland's hours of operation or contact someone for more information about their hair-related products and services, please visit http://www.salonmeyerland.com/contact_us.html. As a company spokesperson noted, Salon Meyerland was once part of a family chain that was founded in Dallas 25 years ago. Bonner and his wife Jenny, who are the current owners of the salon, are committed to redefining the neighborhood salon and barber shop experiences that are so prevalent in local communities. Mr. Brinson believes that a professional environment is what customers want; therefore each of the 74 salon professionals operate out of individualized private suites that allows them to set the mood for each and every client independent of their co-workers. The owner is onsite most days to make sure things operate smoothly in the salon, and more importantly keeps things clean and professional for the clients. To help do this as effectively as possible, the Brinsons are rebranding the salon and helping it to figuratively find its roots in healthy black hair care. The salon's new name will help to better differentiate it from the other Salon Park locations that are owned and operated by Bonner's family at separate locations throughout Houston. "Although we are well known in Houston to have the best healthy black hair care specialists in the area, we are absolutely not limited to it," noted the company spokesperson, adding that Salon Meyerland's talented and experienced group of stylists are very diverse in working with all types of hair. However, healthy natural and relaxed black hair care is their specialty. Unlike other salons that have a few people on staff, Salon Meyerland—which was recently named as one of the Top Work Places in the area by Houston Chronicle, and awarded the Best Hair Salon in Houston in 2015 by Cityvoter.com—has 74 salon professionals all working under one roof, which makes Salon Meyerland one of the largest black hair care salons in Houston, if not the largest. Salon Meyerland has 74 of the best salon professionals all operating in individualized private suites under one roof. These independent stylists, barbers, manicurists, waxing specialists, and estheticians all set their own hours, prices, and make their own appointments so people can be assured they will be in direct connection with their salon professional. Private suites allow them to set their own style in their suites by having the ability to decorate to their liking and create their own unique customer experiences. For more information, please visit http://www.salonmeyerland.com/.